God send us a good New Year! It was a full fair sight. 5. "Fro whence come ye, kingës three?" Lord and king of might." Ye go none other way." And there they came by night. With gold, incense and myrrh. Jesu with Mary they found. He failëd of his prey. Nor left he none in life. 16. The children of Israel cried, "Wa, wa!" The mothers of Bethlehem cried, "Ba, ba!" Herod, that wretch, (he) laughed "A-ah!" "The King of Jews is dead!" And send us a good New Year! For interpretive notes and more information, see The Hymns and Carols of Christmas. 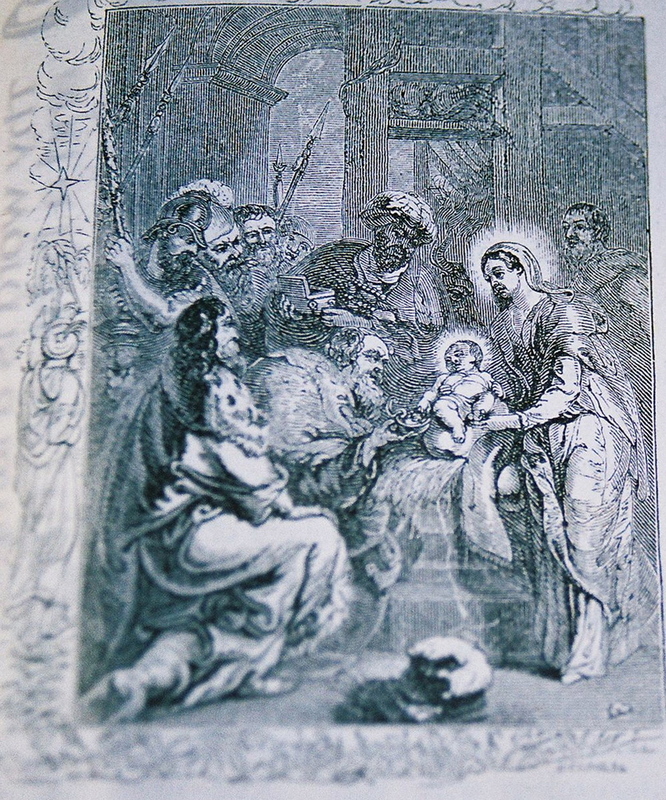 Photo: A woodcut print of the Epiphany from the Book of Common Prayer, Church of England, published in 1846. - Words by Edward Cassell, 1851. Source: Cyberhymnal. An exceptional recording. Hat tip Le Petit Placide for the video and also the Christmas art in this post. - In the Bleak Midwinter by Christina Rosetti, 1872. There is no rose of such virtue. For interpretive notes and more information, see Hymns and Carols of Christmas. For more posts on the rose carols of Advent and Christmas, see this blog's categories of Advent and Music: Advent and Christmas from Advent 2008. 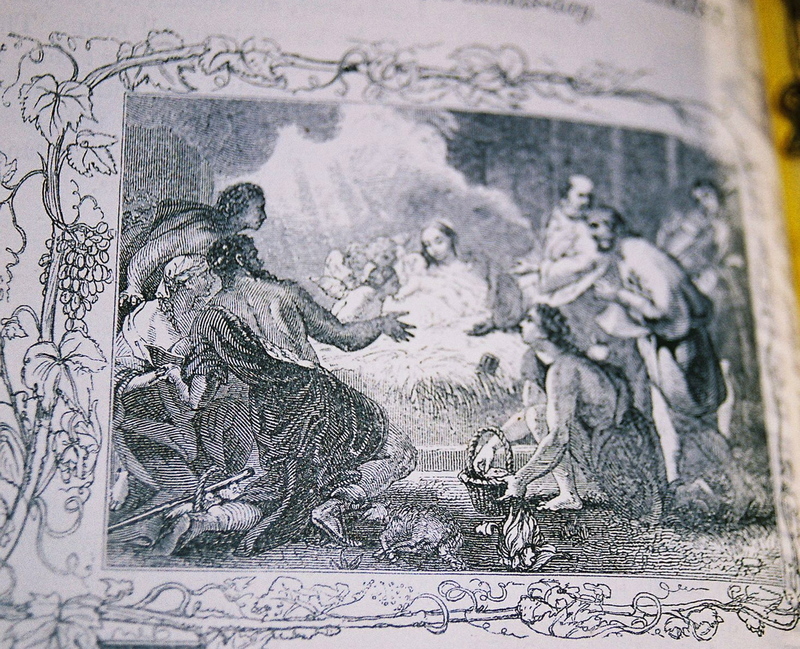 Photo: Woodcut print picture of the Nativity from the Book of Common Prayer, Church of England, printed in 1846. "There is no rose of such virtue as is the rose that bare Jesu: Alleluia. For in this rose contained was Heaven and earth in little space."